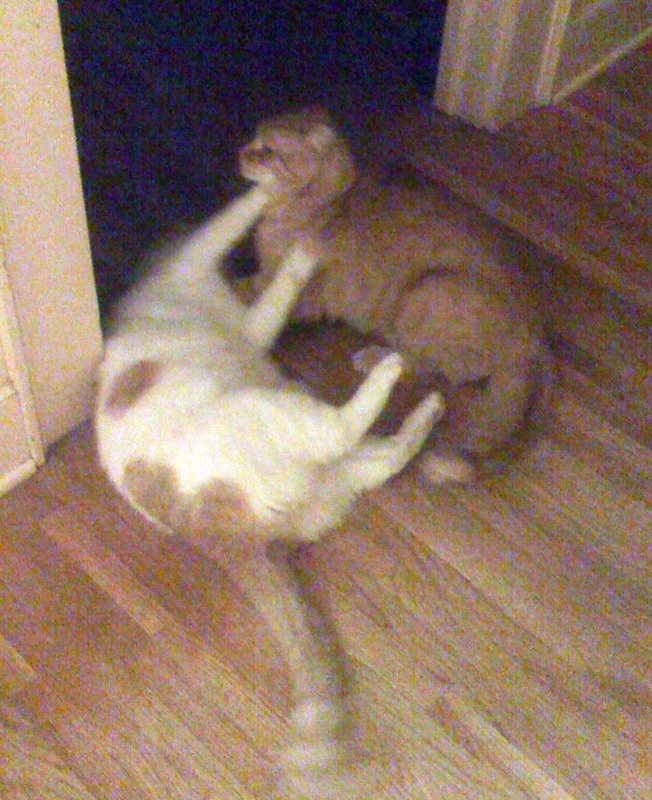 This blog isn’t about my cats but everyone asks me about our name and how we came up with Boxing Cats. When Pam and I decided to launch our own design firm we needed a unique name that really stopped people in their tracks. We put our heads together and came up with all sorts of name combinations but nothing clicked with both of us. There isn’t a person I talk to or give a business card to that hasn’t made a comment about how much they love the name. It does give us something to talk about and it is a great opening for a conversation. The problem I have is connecting the name to what we do. What I have come up with is on our home page at http://www.boxingcatscreative.com/. I would appreciate feedback or suggestions. Pam and I worked to keep it simple and to the point without pontificating. We let our work speak for itself. These will be the only pictures you will see of our boxing cats.